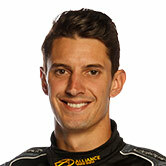 Nick Percat will race in the colours of iconic motorcycle manufacturer Harley-Davidson at the ITM Auckland SuperSprint. 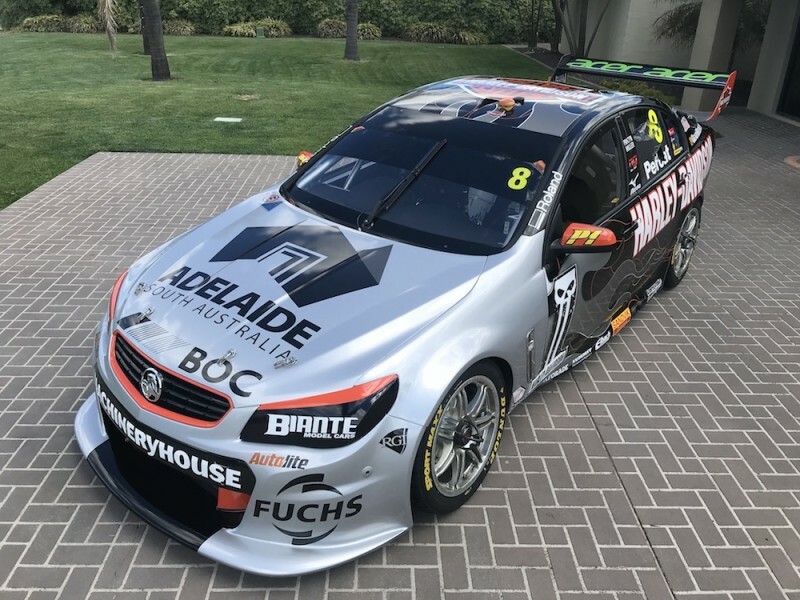 Brad Jones Racing has taken the covers off a menacing look for its #8 Holden, which ran with Boost Mobile support at the recent Bathurst and Gold Coast events. 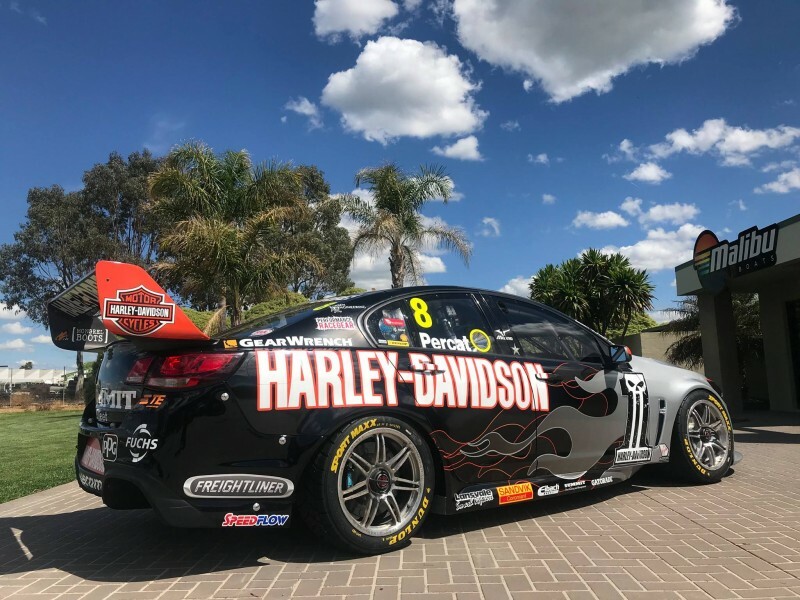 Harley-Davidson joined BJR as a minor sponsor earlier this season, with small logos appearing on both the team’s Percat and Tim Slade entries. Team owner Brad Jones says he’s been looking forward to unleashing the full Harley-Davidson livery. “It’s fantastic to have Harley-Davidson on board for the Pukekohe event this weekend,” he said. “It doesn’t matter where you are in the world, people instantly recognise Harley-Davidson. The reveal is pretty exciting for us as it’s something we’ve had in the pipeline for a while which we finally get to show off. “The livery is similar to what they run on the H-D1 Custom Shop Freightliner Truck they use in Australia to haul their gear and display bikes across country. “It’s tough, and the flames are something we haven’t seen on a Supercar in a few years, so it’s cool to bring them back for this event. 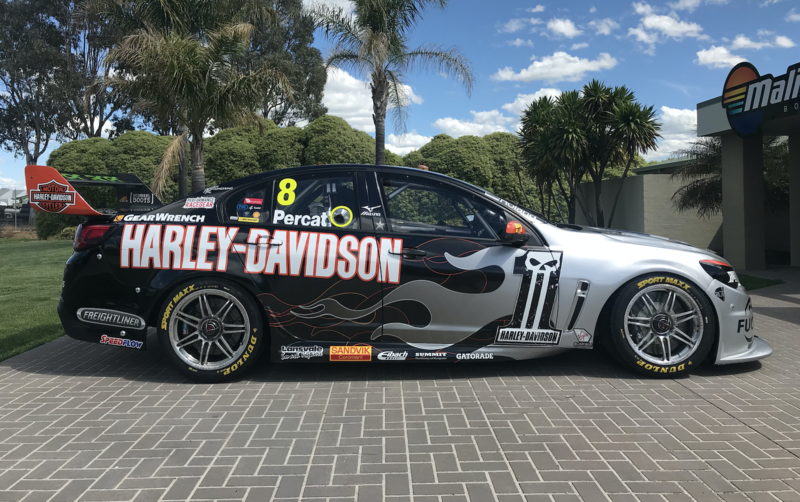 Nigel Keough, Managing Director of Harley-Davidson Australia and New Zealand, added his pleasure at seeing the brand’s first Supercar livery. “We’re absolutely thrilled with the Harley-Davidson livery on the Supercar for this weekend,” he said. BJR heads to Pukekohe still chasing its first win of the season following a podium for Tim Slade and co-driver Andre Heimgartner last time out on the Gold Coast. The team scored race wins at Pukekohe in 2013 and '14, with Jason Bright taking out the inaugural Jason Richards Trophy in the former year. The trophy is awarded to the weekend’s highest points scorer as a permanent tribute to the late Richards, who drove for BJR before succumbing to cancer in 2011. 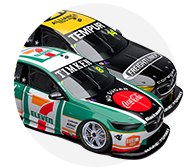 “Pukekohe is a special place for us for many reasons, mainly because of JR,” said Jones.